Rugged SEALED Heat Pipe COTS 3U ATR. Available in 3, 5, 7 & 9 slot versions, supporting up to 500 watts payload. 37 COTS 6U Military ATR chassis are supplied off-the-shelf, fully MIL certified per MIL-STD for immediate deployment in the field. Designed for cost effective, compact military aerospace platforms & UAV applications up to 575 watts. MIL-STD-461F certified. 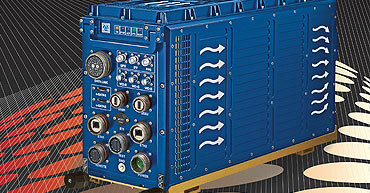 Our Military VPX, VMEbus & cPCI backplanes provide unlimited wiring flexibility & extended functionalities. Supporting a wide variety of AC/DC input voltages & customer defined DC output combinations that deliver up to 1550 watts. CM Computer delivers Commercial Off-The-Shelf (COTS) Open Bus Systems, offering the most comprehensive range of VPX, VME, cPCI ATR chassis & VMEbus modules in the industry. We implement the most challenging parameters from the start, maintaining the theory that each component employed is selected in accordance with a rigorous military quality criteria. All CM products are built to outstanding critical aspect performance with indispensable features & Built-in-Test, compounding 30 years of technological evolution. Our engineering team generate the most extensive technical manuals, comprehensive product data sheets & real-time source code, providing expertise & continued support. The leading military VPX, VME, cPCI ATR chassis & VMEbus I/O manufacturer in Europe & the USA. Since its establishment in 1987, CM Computer has designed and crafted the highest performance products that balance proven old-school military hardware design with the advantage of current COTS open architectures. CM products are expressly designed for the most demanding applications that require uncompromising quality and reliability. We design & manufacture all COTS products in-house without subcontracting to third parties. Year after year CM Computer continues to offer the most advanced COTS products, earning CM a solid reputation as a leading military solutions supplier in Europe and the USA. 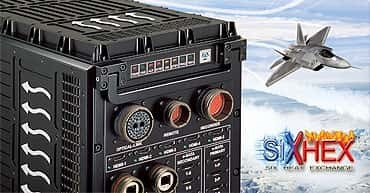 The current series of boards and Military ATR chassis are based on well proven technology based on solutions that have been field demonstrated to be most efficient. ATR & VMEbus I/O catalog.